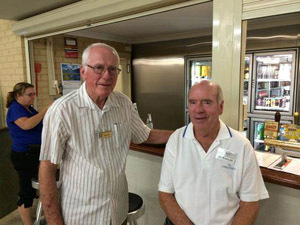 Halls Head Bowling Club has the reputation for a well-run bingo session every Thursday night at 3 Sticks Boulevard Erskine. All sessions are very popular with particular emphasis on HIGH ROLLER night. High roller is every second Thursday of the month where bookings are almost essential. Light snacks and bar service is available. Usual finish 10.00 to 10.30 pm. Make up a party or come solo. You will always be welcomed by John Fowler & his crew.